Who is The Restaurant Doctor™? Bill Marvin, The Restaurant Doctor™ is the leading authority on how good restaurants can become great restaurants. He helps independent operators create organizations that can prosper in tough times and bring out their workers' innate ability to deliver exceptional service. He is an advisor to service-oriented organizations across North America. Bill is the founder of Effortless, Inc., a management research and education company, Prototype Restaurants, a hospitality consulting group and Hospitality Masters Press, publishers of the acclaimed Hospitality Masters Series of books. A veteran of the foodservice industry, Bill has managed hotels, institutions and clubs. He has owned and operated full service restaurants. He has had the keys in his hand, his name on the loans and the payrolls to meet. He has been there. His professional curiosity and practical experience has enabled him to identify and understand the human factors that are common to the success and growth of all types of service businesses. Bill has earned the designation of Certified Speaking Professional from the National Speakers Association and is a lifetime member of the Council of Hotel and Restaurant Trainers. He was one of the first to earn certification as a Foodservice Management Professional from the National Restaurant Association. He has also earned the designation of Certified Food Executive from the International Foodservice Executives Association. Bill was a Director of the Colorado Restaurant Association for seven years, taught a course in food facilities design at Wayne State University in Detroit and conducted a continuing foodservice class for the City of Colorado Springs, Colorado. In short, he gets around! He started in the industry at the age of 14, washing dishes (by hand!) in a small restaurant on Cape Cod. He went on to earn a degree in Hotel Administration from Cornell University. Bill moved to Colorado in 1984 to design the foodservice system for the U.S. Olympic Training Centers. He and his wife Margene relocated to Gig Harbor, in the Puget Sound area of Washington State, in 1993. Before joining the Olympic Committee, Bill spent twelve years in the San Francisco Bay Area in a number of roles. He was a supervisor in the management consulting department of an international hospitality consulting firm. He developed and operated two restaurants for his own account and was an independent restaurant consultant specializing in new concept development and Chapter 11 reorganizations. In typical Northern California fashion, he also became a commercial hot air balloon pilot and in the fall of 1981 became the first person in history to fly a hot air balloon in the Republic of China! He has managed a condominium hotel in the Caribbean, helped run a prestigious New England country club and worked as a consultant/designer for a national food facilities engineering firm. As a supply officer in the U.S. Navy, he also was responsible for operating several enlisted feeding facilities, the largest serving over 20,000 meals a day with a staff of 525. Bill is a sought-after consultant in the areas of concept development and organizational effectiveness and is a prolific author. In addition to over a dozen well-regarded books focused on the hospitality industry, he writes two weekly e-mail newsletters, offers several subscription series and contributes regularly to trade magazines in various industries. He has a healthy private consulting practice and logs over 100,000 miles a year delivering corporate keynotes and training programs in North America, Europe and the Pacific Rim. 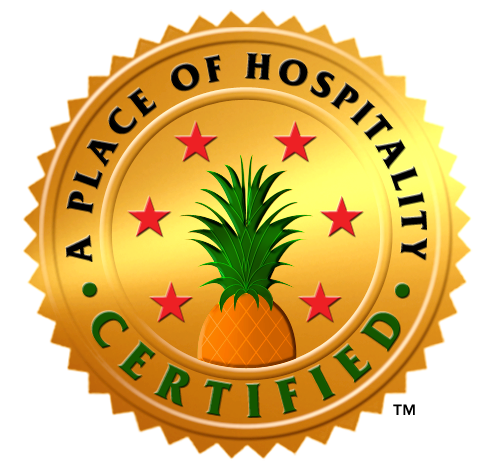 Bill's current focus is on triggering a contagious resurgence of hospitality in the world starting by helping independent restaurant operators re-discover the roots of our industry, true hospitality itself! Toward that end he has founded a certification and support program called “A Place of Hospitality” that allows operators to enjoy more balance in their lives, put the joy back into serving the public, level the playing field when competing against the national chains, develop a sustainable, steadily growing business model built not on discounts and hype but on personal connection and service to the community ... and do all this in a way that is both operationally practical and extremely profitable! If you need photos for brochures or other promotional pieces, just ask. In addition, an editable bio is also available.